Reportedly, many agents in the aviation industry have seen their payments halted and contracts terminated by the Airbus Group (“Airbus”) in circumstances where they have done nothing wrong. Many agents have thus reportedly commenced arbitration against the Airbus Group on the basis of breach of contract. This curious situation in the aviation industry appears to derive from investigations into the Airbus Group. In August 2016, the British anti-corruption agency, Serious Fraud Office, confirmed it had commenced a formal investigation into the dealings of the Airbus Group concerning business deals concluded via third-party consultants. With the use of such local consultants’ contacts and their knowledge of the region, groups such as Airbus Group could in principle efficiently enter markets without spending significant time and money for extensive market research. The problem was that some third-party consultants may have paid bribes in order to secure orders for Airbus. After the British Serious Fraud Office’s investigations, the French authorities then also followed suit with investigations of Airbus’ dealings under fraud charges. Allegedly, more than 300 million Euros of funds were misappropriated through third-party consultant contracts for securing potential new business opportunities in China and South-East Asia. The Airbus Group has since reportedly taken actions to remedy the issue internally and decided to stop using third-party consultants altogether. Also, the Group has appointed an independent panel of independent experts to investigate on the case. It has also been reported to have suspended all payments to third-party consultants while they are being phased out, which has pushed many of them to initiate arbitral proceedings against it on the basis of breach of contract. What can a third-party consultant previously working with Airbus, or a similar company, whose contract was terminated or whose payments have been suspended due to the suspected misdeeds of other third-party consultants do in such a situation? Of course, if a third-party consultant’s dealings were in fact tainted by corruption, then the consultant should avoid arbitration and obtain a criminal lawyer instead. Corruption is frowned upon at all levels and serious wrongdoing will doom nearly all claims. 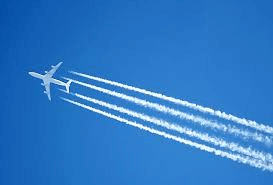 Even innocent parties, however, should not rashly assume that just because Airbus was in breach of contract they will necessarily be entitled to compensation. This will depend on the applicable law and a careful reading of the parties’ agreement. Interestingly, the standards applicable in the investigations against Airbus are not necessarily the same standards which govern the relationship between Airbus and its agents. The applicable law may define what constitutes prohibited activities and may define the remedies available to the parties outside of the contractually agreed options. The Parties’ contract will also contain obligations that must be respected, which must be accurately interpreted in an attempt to ascertain whether there may have been a breach of contract and its consequences. What may ultimately determine success on the merits, however, may be the burden of proof applied by the arbitrator. In arbitration, there is no single standard of proof with respect to proving allegations of corruption. In some cases, arbitrators have used a standard of proof of “clear and convincing evidence” or “beyond reasonable doubts” in determining whether allegations of corruption have been proven, a high standard of proof that is very difficult to satisfy. In most cases, tribunals proceed on the basis that a “preponderance of evidence” standard is more appropriate, with the burden of proof on the party making allegations of corruption. In some cases, however, arbitrators have used a lower standard, on the basis of that corruption is hard to prove and so circumstantial evidence and indirect evidence can and should be relied upon. In such a situation, even an innocent agent could see its claims fail after the revelation of facts that hint at, but do not prove, wrongdoing on its part. In short, until the applicable standard of proof is settled in arbitration with respect to allegations of corruption, even an innocent party has no guarantee of success on their claim, although with proper lawyering and sufficient due diligence on potential arbitrators, the chance of an innocent party who has not breached its contractual obligations ultimately obtaining compensation is high.